So, you just got your braces on, and you're wondering why you should continue visiting your general dentist since you’re seeing Dr. Cooper Sandusky every other month. 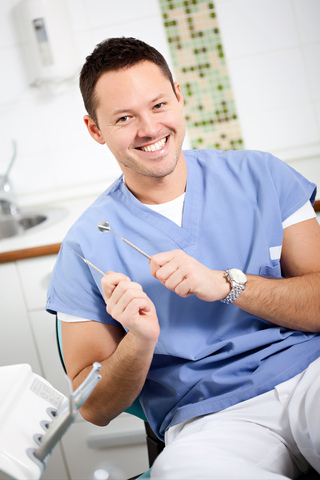 Patients always ask us if they should continue to see their dentist while in orthodontic treatment. In short, the answer is yes. Today, we thought we would share a few reasons why it’s crucial to keep up with your regular visits with your dentist in addition to coming in for your regular adjustments at Sandusky Orthodontics. Making sure to visit your dentist will help ensure your teeth look their best once your braces come off. If you do not have a general dentist and would like a recommendation on finding one in the Memphis area, please give us a call or let us know at your next adjustment appointment! Orthodontists, such as Dr. Cooper Sandusky, are more concerned with diagnosis, prevention, interception, and treatment of malocclusion, or what we call “bad bite,” of the teeth. Orthodontists focus on tooth and jaw alignment and bite problems such as overbites and underbites, and are responsible for straightening teeth via bands, wires, braces, and other fixed or removable corrective treatment options, like braces and clear aligners. Orthodontists treat children as well as adults who wish to improve the function of their bite and appearance of their smile. Before becoming an orthodontist, doctors such as Dr. Cooper Sandusky start out in dental school and earn a dental degree, just like your general dentist. After dental school, those doctors who decide they are interested in the orthodontic field, stay in school for a few more years and become experts in orthodontia, which is one of nine specialties within the dental field. Isn’t it nice to know we have orthodontic experts here at Sandusky Orthodontics to help you through any type of treatment your teeth and jaw might need? To schedule your initial appointment at our Memphis office, please give us a call today! Most kids love candy; actually, most people in general love candy. So when it comes time for you to get braces there can often be a natural conflict between candy consumption and maintaining the integrity of your braces. 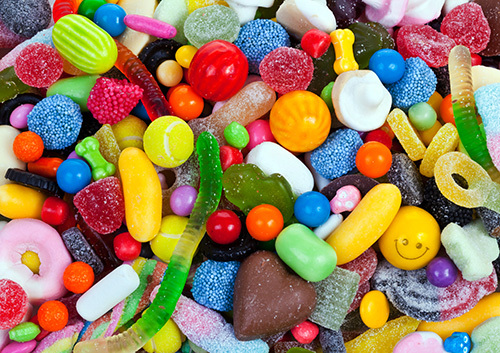 For that reason, Dr. Cooper Sandusky and our team know that it’s good to know which types of candy are not good for your braces. To better illustrate, here are some candies that you will want to avoid. Caramel is a sweet and often exceedingly sticky and chewy type of candy that just does not mix well with braces. Caramel can cause a mess in regular teeth, but teeth with braces are a whole other story. The sticky candy can very easily get lodged and stuck between the teeth, gums, and braces, making for a difficult task of cleaning your mouth. And if your teeth don't get cleaned properly, cavities can easily form. If you get cavities while you have braces, that could mean additional appointments at our Memphis office and an extended treatment time. Dr. Cooper Sandusky and our team correct the alignment of your teeth and jaws so that you can speak clearly, chew food effectively, and look attractive when you smile. We do this by putting sophisticated gadgets in your mouth. While many of these dental devices look similar, we use a wide variety of orthodontic appliances to straighten your teeth and repair jaw problems. Spacers are small plastic rings fitted between your back teeth before your braces are placed by Dr. Cooper Sandusky. These spacers create space between your teeth to optimize the alignment your braces provide. Contact our Memphis office today to learn more about the ways we can improve the appeal and function of your smile.